Horror author Stephen King was born in Maine and has used the state as the setting for many of his stories. 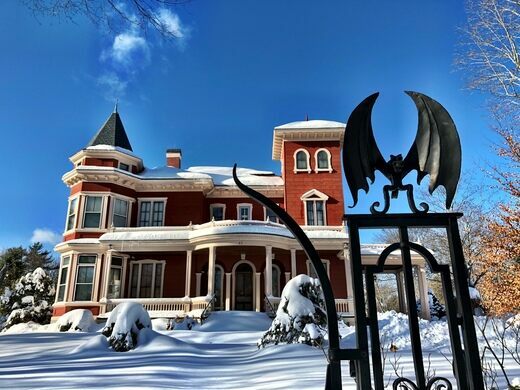 Despite his fame and wealth, he still lives in his home state, in a rather distinctive mansion just outside of downtown Bangor. 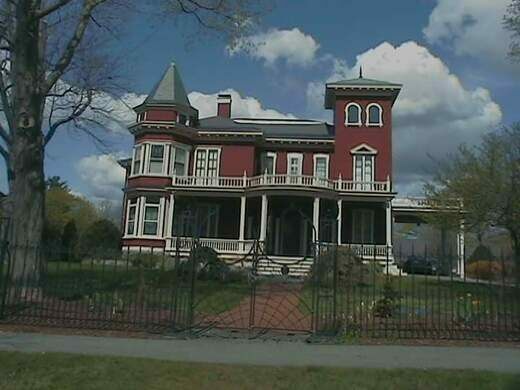 Abraham Lincoln's vice president took his last breath here on July 4, 1891. The houses in his neighborhood are all large and expensive-looking, but they’re close to the street, which is wide and easily accessible, with a public sidewalk winding throughout. 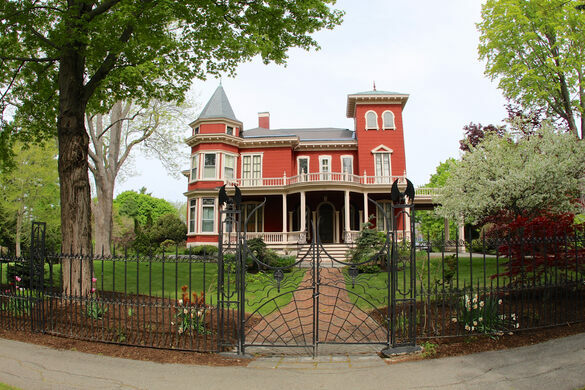 King’s house is red with white trim, towering, and old enough to look historic. 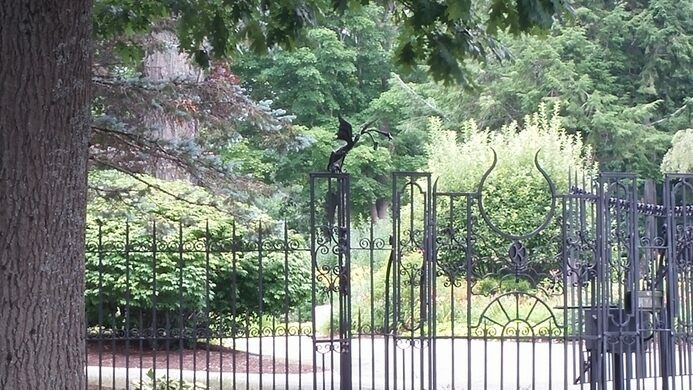 It’s also in full view of the street, not hidden behind the small wrought-iron fence that surrounds the property. 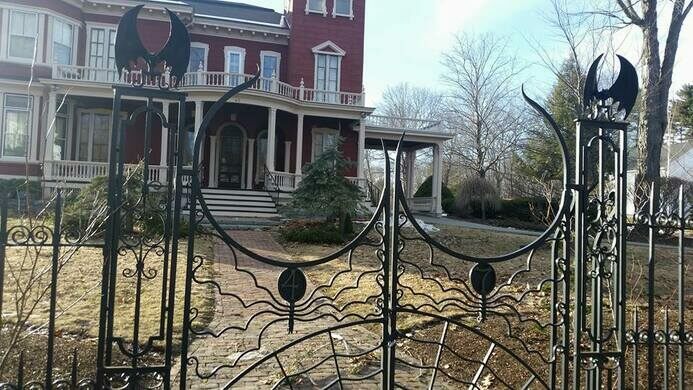 The fence itself is most of what gives the house its Stephen King-esque flair. 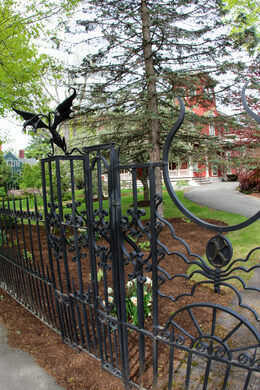 Spiders, bat-winged creatures, and a three-headed reptile all decorate the black wrought-iron.